Carrier roller press is made of idler roller and big diameter cylinder, and equip with one covered rubber metal roll. Carrier roller press includes guide felt roll, felt suction box and a felt. the idler roll press’s pressure method is corrugated tire pressure. 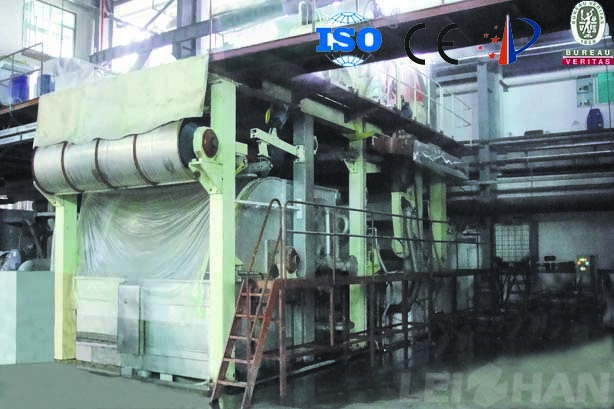 Pneumatic horizontal type paper reeling machine, air cylinder pressure. It installs on the top platform of cylinder mould part.